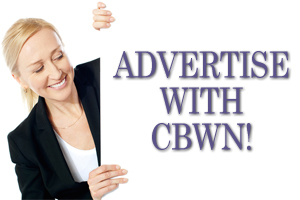 There are many ways to get recognized on the CBWN website. • Profile Listings with ads, just to name a few! • Being on our listings ensures everyone can find you and there are no lost opportunities. Have a look at our Business Directory for some (not all) of our savy business women who signed up and see the benefit of having a larger presence on the web through our website. We are thrilled that these members are seeing the benefits for themselves and their business These are women of vision, who are set to push their business to the next level by signing up with our website. It’s as simple to have your name and contact info posted on the site so the women in our group and beyond can find you. Please note our policy – we do not provide contact information between members, that is the purpose of the member listing. If members did not get a business card or you cannot be found on “our people” listing, it is a loss to the member of potential business. So sign up today and be found and be connected with our group members. Sign up for one year and save $50 for any offer excluding the contact listing. * indicates regular pricing. In addition to all the benefits of a ad on your profile page, having a static ad on the right sidebar of our website, allows you to be first to be seen by visitors to the cbwnedmonton website. 1. You are able to participate WITH more than one company; however, charges will apply for each entity separately. Profiles, ads and contacts cannot be combined any way..
2. Direct sales guests will be on a first come first serve basis for any ad-related pages. Second guests will be able to sign up for a contact or profile listing.